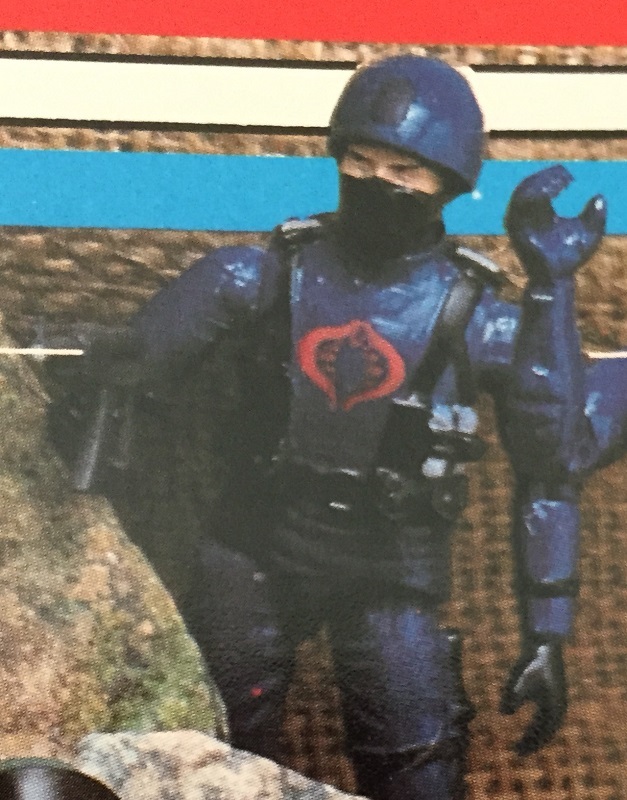 In a 1982 GI Joe toy catalogue, we get a look at the original lineup of Joes, more or less in their final forms, with a couple of Cobras in the background who were not. 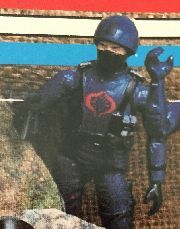 Hasbro designers originally mocked up the ARAH Joes using Mego CHiPs action figures, and it's clear from the pictures that these Cobras were still the mock-ups. Their final versions had presumably not been completely tooled yet when the catalogue was shot. I have a small collection of Mego 3-3/4" figures, including a few doubles, so I decided to make some customs based on these prototype figures. I did not try to recreate them exactly, which would probably be impossible anyway due to lack of complete reference material, but I only used Mego parts and used elements of both the prototypes and the final figures in designing them. So I found some parts that worked together, added some details with epoxy putty as Hasbro surely did back in the day, and then painted them up. One wrinkle in the painting was that the Mego method of doing eyes was to make a depression for the iris, which was presumably an attempt to give the eye some definition without having to use a paint app. So that makes painting the eyes a bit tricky, as they were never intended to be painted. But I think I did alright there.